Well, I finally made it back home for a visit over the weekend. It's been LOOOONGG overdue! My cousin got married so we were only there for a little more than a day. Our visit began on my uncle's boat the Crystal Dawn for the rehearsal dinner. We were an hour late, due to I left 20 minutes late plus we hit traffic a few times but they held the boat at the dock for us...so sweet. My girls and hubby enjoyed their first ride aboard a boat that was so familiar to me growing up. We had spent many a time on that boat. 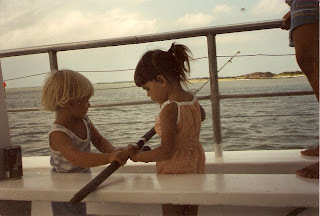 Notice picture of my cousin and sister fishing on the Crystal Dawn (they're all grown up now). Isn't it sweet? Though it was a short visit, we made it a good one. The best part was seeing family. I don't realize how much I miss it, being away for so long, until I go back. We have so many memories and even though I seem to fit in with my husband's family, nothing replaces your own or makes you feel at home the way your real family does. We will get to go for a week again soon, so I am glad to get to see more of them. 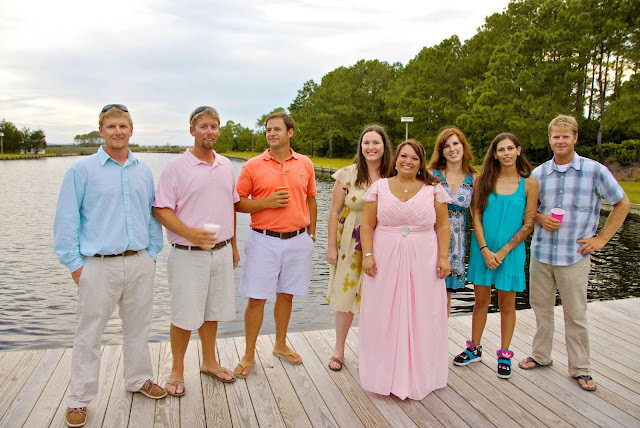 Here's me with my first cousins and sister..she's in the teal dress with the long brown hair (we were missing 5 though, there are 13 in all). Good lookin bunch, huh? So, anyway do y'all remember in my No More Mayberry post when I said that I always run into someone I know in the grocery store whenever I go back home? Well, I sure did this time too! The minute I walked into the store some tall man with a couple kids smiled at me and said "Hey" like I knew him. Come to find out, it was my sister's best friend for awhile when we were kids. The last time I saw him he was barely a teenager. Now he was towering over me. I love that small town. I've lived in Philly for 12 years and I can count on my two hands the times I've run into someone I knew. Down there, though, nothing changes too much. The McDonalds is still slow as molasses. The old men still sit there and drink coffee and shoot the breeze. The locals are super busy with tourists. It's all the same. But, there was something so refreshing about being there yet at the same time a little sad too. The town moved on without me. I moved on without it. It's funny though how when I go back, it still feels like home. A sort of shadow in my past, yet something I almost long for. It held all my first memories, all the joys & sorrows. It's where my grandmother is buried. Where I accepted Christ as my Savior. Where I first learned to drive a stick shift. Where I had my first kiss, first sleepover, first job. I sure miss that place. 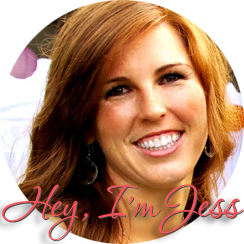 It's made me who I am; a stubborn, but polite southern girl who can do things for herself but loves to be taken care of by my husband. I'll give you the shirt off my back, but you better not cross me cuz Watch out! It's who I am and it's because of the little island on the coast of North Carolina (and my family of course). To me, that little town will always be my home... crazy drama and all (like I said, nothing changes). It's like a cozy blanket on a cold night. So comforting you want to curl up and watch the time go by. Well, enough gettin all sappy! Maybe one day we'll make it back. For now, at least I have family there so I can have an excuse to visit. And despite what you may think, I love my family and life up here.....Just wouldn't life be grand if you could have both. Here's me and my family sitting on the dock behind my aunt's house. Pillsbury BBQ Chicken Pizza "Sponsored Video"
Bruno Mars...need I say More?